Rocking the junior crowd in clothing that differs from the pack is important to me. After all, who wants to look like everyone else? I know I say I love things all the time but here’s a little secret. I’ve found a new favourite. 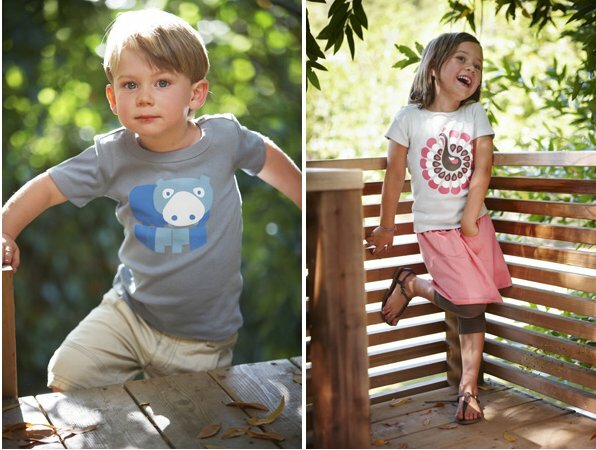 Glug clothing delivers the goods with soft cotton clothing that encase little bodies in comfort. You will find a superb array of leggings, pants, shorts, tees, dresses and skirts from Glug for everything you need to wear from day to day. All items in the collection are made from super soft cotton and showcase gorgeous modern prints such as flowers, peacocks, hippos and even arrows to name a few. You can see from these images the gorgeous colours of the fabrics and prints are great for mixing and matching. Older kids can join in the fun too as Glug caters for children right up to a size eight, which is marvellous as my daughter loves the awesome shimmery leaves of the Falling Leaves long sleeved tee, priced at $42.95. To see more offerings from Glug, visit Whimsy Child. Delivery is available all over Australia.